Tickets for the a-ha concert at Brann Stadium in Bergen on 28 August are selling surprisingly well. Although it’s more than four months away, 17.350 tickets have already been sold. Initially 16.000 tickets were made available, but an additional 8.000 tickets have now been added. Although the stadium has a capacity for even more people, the audience limit will be 24.000. This is because the concert will be quite unusual, with the stage placed on one of the long sides, and the organizers want everyone to have a good view. 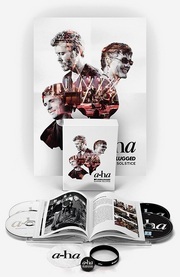 “a-ha are selling well in all the six Norwegian cities where they’ll be playing. The best-selling concert so far is Ullevaal Stadium in Oslo, with Brann Stadium in Bergen as a very good number two“, Arne Svare from concert organizers Stageway tells Bergens Tidende. 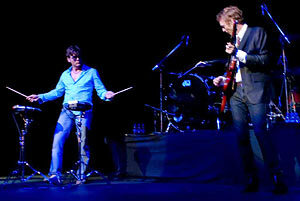 “I’m not surprised by how well a-ha are selling on their farewell tour. But the fact that they have sold so many tickets in such a short time is surprising“, Svare – who had the idea for the Norwegian stadium tour – says. If all the 24.000 tickets are sold in Bergen, this will be the largest concert ever in the city. The current record is held by Bruce Springsteen, who played two concerts with an audience of 23.500 people each night in 2009. A Magne F exhibition of 30 graphic prints, probably Alpha Beta, will be held at Galleri Elsa in Namsos from 24 April to 21 May. “We have been in a dialogue for a while, and it finally worked out. It’s always fun to get someone who hasn’t exhibited here before. It will be interesting for both the audience and the artist, and I’m really looking forward to it“, gallery owner Elsa Elden tells Namdalsavisa. Magne will also be exhibiting as part of the annual Soddjazz Festival at Inderøy, which is held between 28 April and 2 May. He’s been named this year’s festival artist and Alpha Beta will be on display at Nils Aas Kunstverksted. It’s not known if Magne will be able to visit Namsos and Inderøy himself.